Two Medicaid events at the Iowa Statehouse on Monday, Aug. 29: a Medicaid listening post & a Health Policy Oversight Committee meeting. 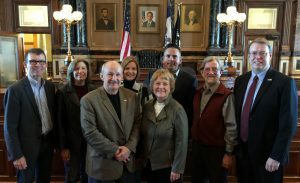 A list of public comments and video links from the afternoon session of December 7, 2015, meeting of the Iowa Legislature's Health Care Oversight Committee. Links to video of the afternoon public comment speakers and legislative discussion at the December 7, 2015, meeting of the Iowa Legislature's Health Care Oversight Committee. Here is the end of meeting discussion by Legislators.